Pages etc. : 200p., full of col. illus., bib., 28cm. 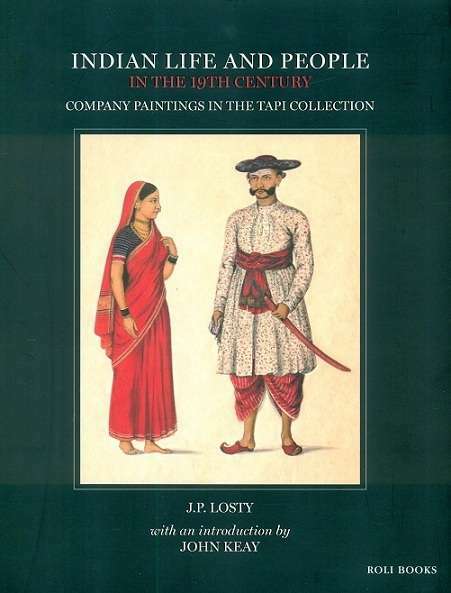 Defining a distinct style of painting produced in India during the British period and influenced by European artistic norms, this catalogue of Company Paintings in the TAPI (Textiles and Art of the People of India) Collection is a unique illustration of the social milieu prevailing in India in the nineteenth century. Tracing the origins and evolution of this genre of painting, the volume shines a fresh beam on subjects commissioned to be painted by officials of the East India Company, such as occupations, customs, dress, bazaars, festivals and daily life of ordinary people, a world removed from the elite and princely environment that were the chosen subjects of Indian miniature artists.